Registration for Juniors and City Programs is for one season at a time (spring or fall). Registration for BAYS High School Travel soccer occurs in March for the spring season only. This is an invitation only program. Please do not register for the Academy unless you have received an acceptance letter. NGS provides a $20 discount per-child for the second child in the same family and on each additional child (3rd or beyond). All children must be registered at the same time to receive the sibling discount. This discount applies only to the Juniors, City and Travel Programs. Blue Sombrero (our online registration system) will only automatically apply the sibling discount if you register 2 or more children in the same NGS program (e.g., both in travel, both in City 3-8, both in J2, etc.). 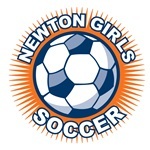 If your children play in different NGS programs, please email registrar (at) newtongirlssoccer.org BEFORE you register so that we can provide a $20 discount code. We cannot apply the discount after you have already registered and paid.